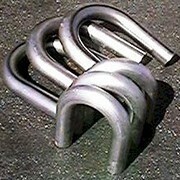 Mandrel U-Bends for Exhaust and Intercooling Systems. We supply U-Bends in a variety of diameters, and sizes. We can supply them in Stainless Steel and mild steel for all your exhaust and intercooling needs.